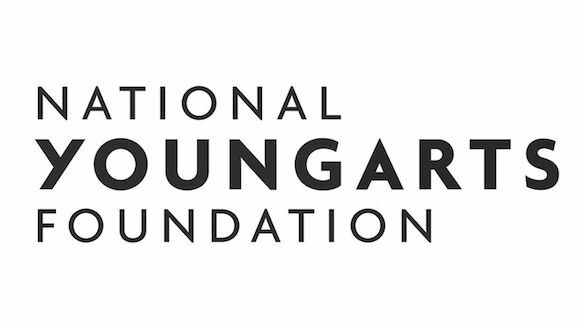 The National YoungArts Foundation (YoungArts) has announced that applications to become a 2019 YoungArts winner will be accepted beginning today, June 5, through October 12, 2018. YoungArts identifies and nurtures the nation’s most accomplished emerging artists in the visual, literary, design and performing arts between the ages of 15 and 18 or in high school grades 10–12. One of the most comprehensive programs dedicated to supporting and propelling young artists, YoungArts provides monetary awards of up to $10,000, opportunities to participate in its programs nationwide and engage with renowned mentors, the chance to become a U.S. Presidential Scholar in the Arts, and guidance in taking important steps toward achieving their professional and artistic goals. Prospective candidates are encouraged to submit applications online at youngarts.org/apply. All YoungArts winners are exposed to professional and educational opportunities, including the chance to work with and learn from renowned artists in their fields—such as Debbie Allen, Mikhail Baryshnikov, Frank Gehry, Jeff Koons, Wynton Marsalis, Salman Rushdie, Rebecca Walker and Carrie Mae Weems—and are eligible to participate in one of YoungArts’ annual regional programs in Miami, Los Angeles and New York. YoungArts also offers a strong professional network of more than 20,000 alumni, as well as ongoing professional guidance and the opportunity to perform and exhibit their work at some of the nation’s leading cultural institutions, including the John F. Kennedy Center for the Performing Arts (Washington, D.C.), Baryshnikov Arts Center (New York), MoMA PS1 (New York), New World Center (Miami) and the Center for the Art of Performance at UCLA (Los Angeles). Must demonstrate excellence in the visual, literary, design or performing arts. The applications deadline is October 12, 2018 at 11:59 p.m. EST. YoungArts’ expansive alumni network of leading professionals includes visual artists Doug Aitken (1986 Winner in Visual Arts) and Daniel Arsham (1999 Winner in Visual Arts); musicians Conrad Tao (2011 Winner in Music and U.S. Presidential Scholar in the Arts) and Jennifer Koh (1994 Winner in Music and U.S. Presidential Scholar in the Arts); recording artists Josh Groban (1999 Winner in Theater) and Chris Young (2003 Winner in Voice and U.S. Presidential Scholar in the Arts); writer Sam Lipsyte (1986 Winner in Writing and U.S. Presidential Scholar in the Arts); actors Viola Davis (1983 Winner in Theater), Andrew Rannells (1997 Winner in Theater) and Kerry Washington (1994 Winner in Theater); choreographers Camille A. Brown (1997 Winner in Dance and U.S. Presidential Scholar in the Arts) and Desmond Richardson (1986 Winner in Modern Dance and U.S. Presidential Scholar in the Arts); and Academy Award winners Doug Blush (1984 Winner in Cinematic Arts) and Tarell Alvin McCraney (1999 YoungArts Winner in Theater).